The Cidercade in Dallas is hosting a 2018 IFPA Pin-Masters satellite tournament. Pin-Masters is the Pin-Golf World Championship! As such, this is an IFPA Tour endorsed Pin-Golf event. Based on the 36+ people who have already told me they are coming, we should eclipse the requirement of 32 or more total players to make it a feeder for the 2019 IFPA Pin-Masters Championship. Thus, the winner of this tournament will get 50% of entry into that tournament (if indeed we clear the minimum head count). The tournament is open for anyone to participate in. Each player must complete all nine holes. Each player may only qualify once (play all 9 holes once). There are two qualifying dates available. A player may qualify on all 9 holes on either date or split their qualifying holes between these two dates. Anyone under the age of 21 must leave by 8:00 PM. So qualifiers under that age should try to arrive early to have enough time to qualify. There may be some flexibility on this for the playoffs if needed. Only cost is your $10 entry fee into the Cidercade on any day that you compete. Jared has indicated that there will be trophies for this event. ... again, the big prize, if we get enough players, if HALF OFF entry into the 2019 Pin-Masters Championship! Each Pin-Hole will consist of a pinball machine with a TARGET SCORE. As in any golf event, a lower tournament Pin-Strokes score is better. The number of balls it takes for the player to reach that target score will represent the number of Pin-Strokes earned for that hole. Should a player not reach the target score after a full game is completed, a stroke value will be determined based on how close the player was to the target score at the end of their game. There will be a roll call at 5:30 PM on playoffs day (5 PM if anyone under the age of 21 makes the playoffs). Any playoff contender that does not check in for roll call will be replaced by the next highest seed among the competitors. If a player knows they will be late they can reach out to Louis Marx or Jared Guynes. As long as the last group has not tee-ed off, we will accept that so long as one of these two Directors knows that the player is on their way. No more than 50% of the original entrants, in multiples of 4 players, will qualify for the playoffs. Playoffs will be played in 4-player groups using Pin-Golf scoring, with a course of 3 holes, the top 2 players advance out of each group. This continues until there is a final group of 4 players. This group will then play in the finals, under the same format. No tiebreakers. Ties will ONLY be broken if such is needed to determine the final seed for the playoffs or if there is a tie for first place (in the finals). Tiebreakers will occur on a PRE-DETERMINED machine. Tournament Directors will choose that machine on the day of the event. Should a player earn an extra ball, they will play it as part of the same Pin-Stroke on that particular Pin-Hole. 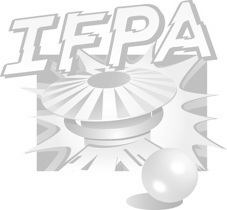 Tournament Director decisions are final and will follow IFPA standard rules.